Relax, rejuvenate and connect with your inner beauty. 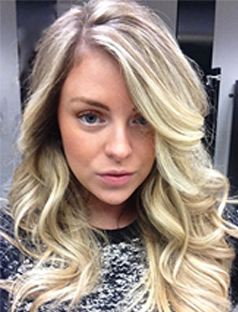 Molly is an expert stylist that focuses on exceptional customer service and enhancing guests natural features. She is passionate about educating her guests on product and styling tips to help them feel fabulous every day. Why come to Molly Marie's? The three C's! 2. Customization to enhance your natural beauty and lifestyle. 3. Confidence you feel in and out of the chair. Amazing Referral Program! Both you and your friend will receive 50% off cuts and 20% off services over $50.00 when you refer a friend to Molly Maries! Molly is amazing to work with and helped make my wedding day so special! I went to Molly Marie's for the first time today and I will most certainly return. My hair color was perfect and so was the haircut! Molly is very attentive to even the smallest details, great customer service, friendly and easy to talk to. Oh and as a special treat she offers a free hand massage with the hair services! I highly recommend Molly Marie's to everyone! Molly is absolutely amazing. She is so friendly and sweet, she listens very carefully to what you want and gives excellent advice on what is best for your hair! I'm amazed every time at how she can take my coarse and curly hair and make it smooth and shiny even without a relaxer! I saw Molly for the first time yesterday. 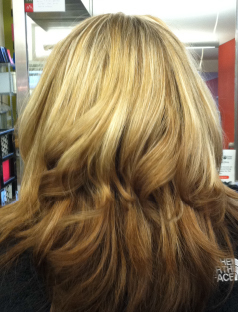 By far the BEST experience I have ever had with any hair stylist. She was very attentive, and strives for perfection! Even with my difficult hair and my all my crazy needs, she achieved the PERFECT result and I couldn't be happier. She took extra time to make sure I was happy and left looking fabulous. I will definitely be going back to see Molly & would recommend her to anyone! On top of all this, her prices are extremely reasonable! One of the many things I love about having Molly cut and style my hair is that while she is styling, she gives me tips so I can make it look good when I style it later. I used her hair drying tip today and it really helped. She helps me look better all the time, not just when I leave her salon. So my dream was to always have long hair. Well for some reason I could never make that happen. But she did! I had a wonderful day today and the hair of my dreams! Thank you! She's amazing! And a wonderful genuine person! Love her! Made my dream hair come true!! Molly has a fantastic personality and actually listens to what you want! Our whole family goes to Molly. Molly only uses hair products that are eco-certified in recycled packaging with natural ingredients free of sulfates, parabens, gluten, phthalates, sodium chloride and much more. 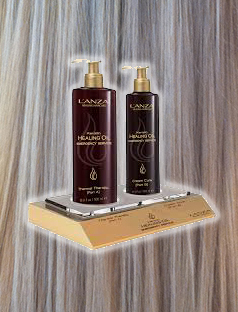 Feel and see the difference with Lanza's flower shield complex, color attachment technology and keratin healing system. 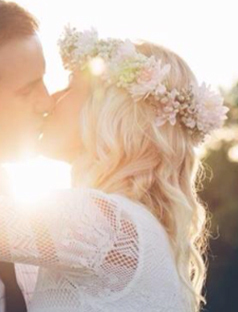 Making moments extra special with exquisite, unforgettable hair. 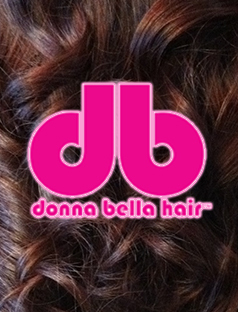 Donna Bella Fusion extensions - 100% Remy Human Hair! Indulge yourself with a Bioelements Calmitude express facial while receiving a specialty conditioning treatment.